According to his autobiography Search for Truth, it was at the beginning of the First World War when he was in his mid thirties that Harry Price made the resolution to establish a permanent organisation with premises where mediums & psychic practitioners could be scientifically tested to establish the genuineness of their claims. This section looks in detail at the extensive work that Price carried out in the field of spiritualism, both before & after he had established his National Laboratory of Psychical Research for this specific purpose and covers the history of both the National Laboratory & the University of London Council for Psychical Investigation which it later became, together with the many cases of mediumship, both blatantly fraudulent & apparently genuine that Harry Price investigated in the séance room. In his early days of psychical investigation, Harry Price came across many phoney & fraudulent mediums and spirit de-bunking was very much the tone of the years before & after the foundation of the National Laboratory. One of his high-profile exposures came early on in February 1922 when he had a sitting at the British College of Psychic Science with William Hope, the spirit photographer who was part of a group known as the Crewe Circle. Price had made two previous requests for a sitting with Hope, the first as early as 1915, but had been unsuccessful in both. When they eventually met Price came prepared with his own photographic plates which had been secretly marked by the manufacturer with a design which would only become visible on development. At the sitting Price noticed a slight of hand by Hope in the dark room prior to the photographs being taken & when the plates were developed it was clear that the spirit photographer had indeed switched slides - a female 'extra' was present on one of the photographs but Price's secret X-rayed markings were not to be seen on either print. 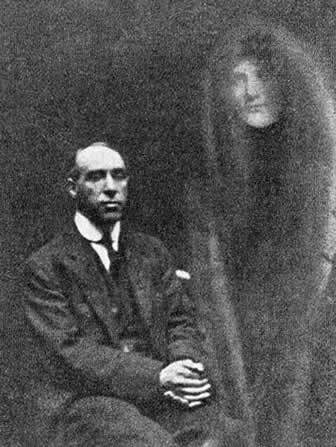 When Harry Price's report of the incident was published in the Journal of the London Society for Psychical Research it caused a furore in spiritualistic groups and the incident opened up a deep rift between Price & Sir Arthur Conan Doyle who was associated with Hope's Crewe Circle. As well as William Hope, this section looks at the many other fraudulent mediums that Harry Price personally exposed or was involved in some way with their unmasking. They include Jean Guzik (1923), George Valiantine (1925), Herbert Dyer (1926) and Mrs. Le Roi Goddard Crandon 'Margery' (1929). In the Spring of 1923, Harry Price made his first real psychic discovery. A chance meeting with the young English nurse Dorothy Stella Cranshaw on a train enabled Price to carry out his own series of controlled séances which marked the beginning of his establishment of the National Laboratory. The first series of sittings were carried out in the office of the London Spiritualist Alliance & were a tremendous success with phenomena being observed at the very first séance. A heavy oak table was moved in response to specific requests and a rapid drop in the air temperature of the séance room was noted. At the most successful sitting on April 12th the medium had a vision of a page from a newspaper carrying a date for the following month. When the newspaper in question, the Daily Mail, was subsequently published thirty-seven days later, the image described by Stella appeared on its front page. Price showed his aptitude for the work in hand by developing specific pieces of equipment which were employed at these sittings and his book Stella C which was published in 1925 was a complete record of this first session of séances completely under his control. Price initially published the results in the Journal of the American S.P.R. the previous year. Stella Cranshaw subsequently gave two further series of sittings and it was through his work with Stella C that Price met another medium with whom he was later rewarded with one of the high points of his career in the séance room - the clairvoyante Eileen Garrett. Click here for the mediumship of Stella C.
On July 7th 1930, Sir Arthur Conan Doyle died & immediately following on from his demise it was widely reported that the creator of Sherlock Holmes had appeared several times at sittings held in places as wide apart as Canada, New York, Paris, Belgium & Italy. Since the Hope exposure eight years previously (see above) Price & Conan Doyle had been cast as bitter opponents & when reports began to circulate that Sir Arthur had returned, Harry Price decided to approach a mental medium in order to try & see if it was possible to contact the famous writer. Price was impressed with the credentials of the Irish-born medium Eileen Garrett & a sitting was arranged for early October at the National Laboratory of Psychical Research. The sitting proved to be one of the most impressive & important séances that Harry Price organised. Two days previously on October 5th the British airship R.101 had crashed into a hillside near Beauvais in France & burst into flames. Eileen Garrett was totally unaware of the reasons behind the sitting & was unable to contact Conan Doyle at first, although a second personality that spoke through her did identify itself as Price's old opponent. However, the first person that did come through was Flight-Lieutenant H. Carmichael Irwin who had been the captain of the dirigible & had perished in the disaster. In trance Eileen Garrett gave a highly detailed technical description of the airship itself & the problems which had caused the craft to crash, as well as mentioning the name of a town which the airship had flown low over on its fateful trip. These details were later confirmed by an R.A.F. officer stationed in Bedford where the R.101 had been constructed as being incredibly accurate & when Harry Price published details of the sitting in a lecture at the National Laboratory seven months later it made national headlines. Click here for Harry Price and the mediumship of Eileen Garrett. Harry Price's association with the Austrian physical mediums Willi & Rudi Schneider began in the early 1920s. Through an introduction made by Dr. E.J. Dingwall, Price was able to attend three séances in Munich at the end of May 1922 which were organised by the German psychical researcher Baron von Schrenck-Notzing. The medium at these sittings was the young Austrian boy Willi Schneider about whom Harry Price had heard a great deal, not only that he was producing impressive phenomena but that the control conditions under which these séances took place was particularly stringent. Dingwall & Price were able to examine the apartment where the sitting took place & were impressed enough by the control techniques in use that they both signed statements that the phenomena they witnessed at these sittings was genuine. 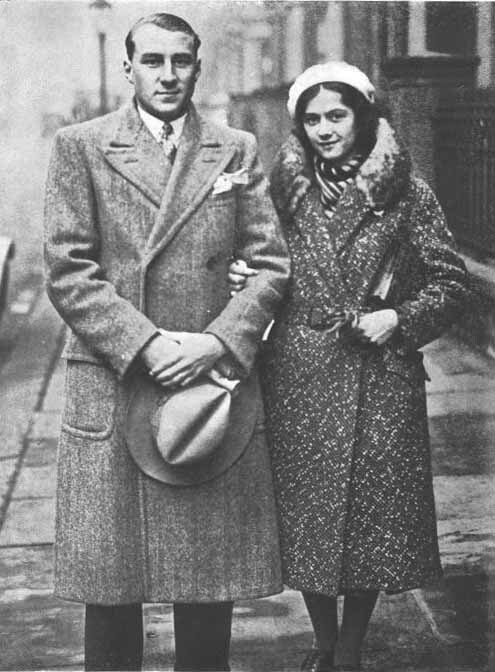 Back in England in December of the same year, Price delivered a lecture at the offices of the London Spiritualist Alliance where he was to carry out his first series of sittings with Stella C the following year, and confirmed that he considered Willi Schneider to be the most important physical medium in the world at that time. In November & December 1924, just over two years after Price's Munich trip, Willi Schneider came to London at the invitation of the Society for Psychical Research and gave a series of twelve sittings, several of which Price was able to attended. Unfortunately these were disappointing as Willi's performance no way matched the quality of the previous séances that Harry Price witnessed. However, in the summer of the following year, Willi gave a series of sittings in Vienna where he was then living & an invitation to Price was extended. Willi's powers seemed to have been restored as these sittings showed a return to the good quality phenomena of Munich and again this was made all the more important by the tough control conditions employed. The final sittings which Harry Price had with Willi Schneider were held in the living room of Willi's family home in Braunau, Austria (the birthplace of Adolf Hitler) following on from the séances in Vienna. Price appeared to have always been happy with the control conditions employed at Willi Schneider's séances although in connection with a later report he issued concerning his work with Rudi Schneider, he did publish a photograph taken during a sitting in the Schneider family home (when he Price wasn't present) which does show Willi totally uncontrolled. Willi Schneider was not a professional medium & by 1928 it was apparent that his powers were fading. At the time he was sitting for Harry Price he was studying dentistry into which profession he ultimately qualified. 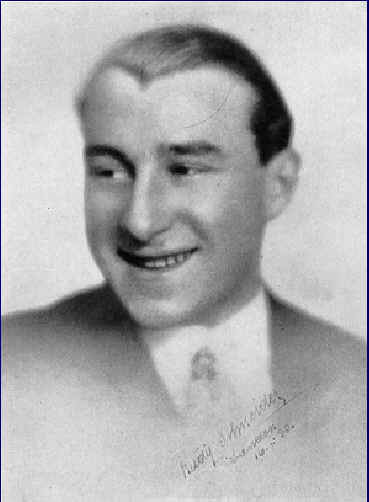 The sittings that Harry Price had with the Schneider family at Braunau in October 1925 served as an introduction to Rudi Schneider who took over from his brother once Willi had effectively retired from the séance room. Rudi Schneider's mediumship was being developed by Baron von Schrenck-Notzing with whom his brother had been associated, although his actual profession was as a motor mechanic. 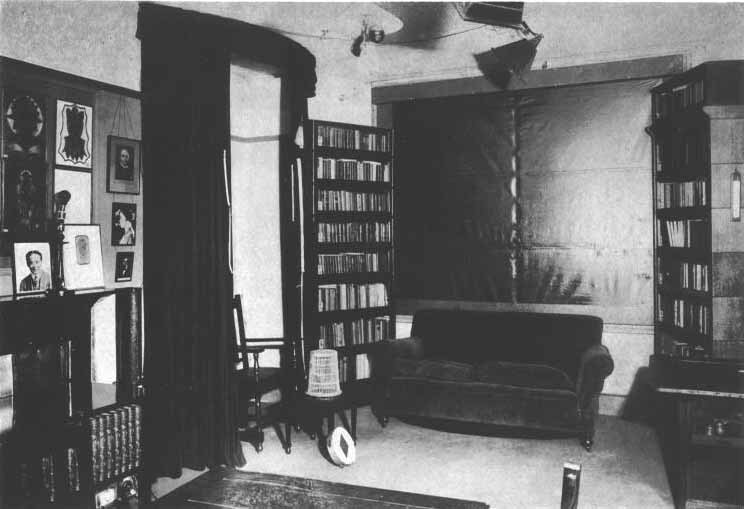 The National Laboratory of Psychical Research had opened the doors of its new rooms at Queensbury Place, South Kensington on the 1st January 1926, so once the quality of Rudi's phenomena had established itself, which occurred as early as the end of 1925, the same year that Harry Price had his final sittings with Willi Schneider, Price was keen for him to come to London where he would have the opportunity to test him under his own conditions. It was not until 1929 that this came about, due to the sudden death of Schrenck-Notzing from a complication connected with an attack of appendicitis, which left Rudi without a benefactor. Price travelled to Munich & arrangements were made for Rudi to be tested at the National Laboratory. The Austrian eventually made three visits to England, the first in April 1929 and the last between February & May 1932 and Price's examination of his mediumship resulted in one of the most bitter controversies with which he was associated in his lifetime. Harry Price's eventual denunciation of Rudi as a fraud (he was photographed at one séance during the third series of sittings apparently breaking control) caused deep divisions within the Council of Price's organisation & several members resigned over the affair. Price's conduct was singularly criticised. It was alleged that he concealed the knowledge that Rudi had cheated on this particular occasion so that the results of another series of sittings organised by Lord Charles Hope & Lord Rayleigh held after his séances would be made worthless, as revenge for them daring to organise a separate investigation into Rudi Schneider's mediumship. There is also the accusation (made in a book published in 1985) that Harry Price faked the incriminating photograph & that his denunciation of Rudi was a frame-up. Such is the involvement of this important investigation. Click here for the mediumship of Willi and Rudi Schneider. Harry Price's de-bunking of fraudulent mediums continued into the 1930s with another high-profile exposure, that of the Scottish physical medium Helen Duncan. 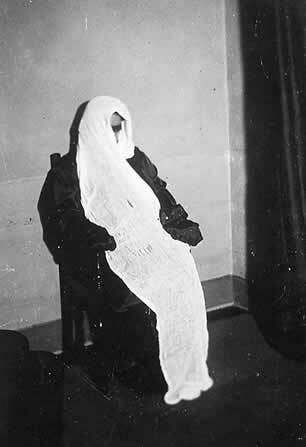 A prominent feature of her séances was the production of ectoplasm which Harry Price photographed at the sittings which took place at the National Laboratory in the May & June of 1931. Despite Price's usual stringent control conditions (which among other things involved Mrs Duncan being strip searched before being allowed to enter the séance room) phenomena continued to occur & Price was able to collect a sample of Duncan's 'teleplasm' at one sitting which was examined under the microscope. This proved to be a mixture of wood pulp & egg white and after the medium went into hysterics after the suggestion was made that following on from one sitting she should be X-rayed, Price came to the conclusion that Helen Duncan, due to a physical abnormality, was able to swallow large amounts of muslin & cheesecloth & subsequently regurgitate it in the séance room for convenient use as portable phantoms. 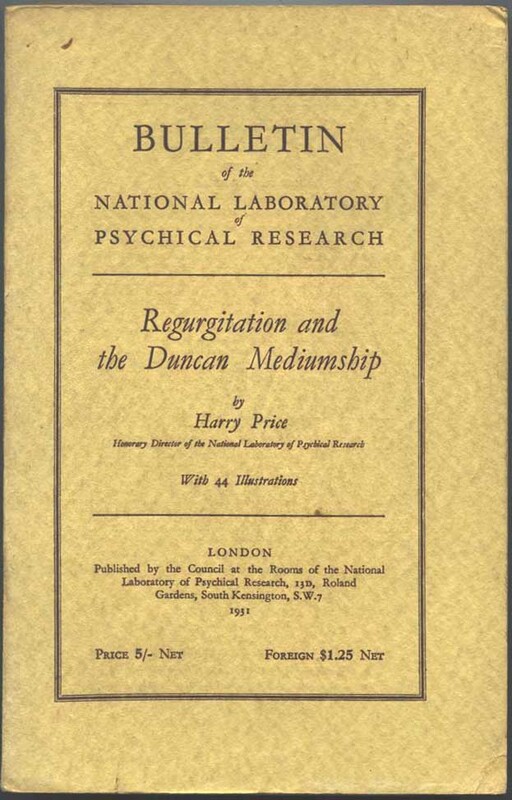 His denunciation of Mrs Duncan, which formed one of the Bulletins issued by the National Laboratory, caused a furore in the spiritualist movement as the medium was highly regarded, but Price was subsequently vindicated. In May 1933 she stood trial for fraudulent mediumship in Edinburgh (with Price attending as an expert witness) after being exposed at a sitting and again in 1944, this time in Portsmouth, a policeman seized one of her materialised apparitions & found it to be nothing but a bedsheet. At her trial at the Old Bailey she was given nine months imprisonment. Click here for the mediumship of Helen Duncan.